Miramar Beach, Florida offers emerald waters, white sand beaches, temperate weather and fun for everyone of all ages. Located close to Destin, Miramar Beach is upscale and organized. As a popular beachside community, much of the architecture in Miramar Beach reflects the Floridian lifestyle. Residents typically buy property in Miramar Beach because of its location close to the Gulf Coast beaches and the area's finer restaurants and shopping. 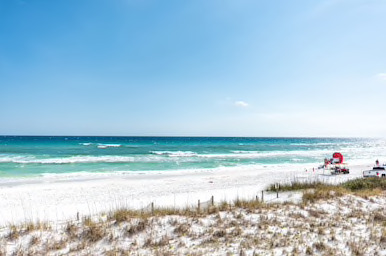 Whether it is in the middle of summer or during the mild winters along the Emerald Coast, there is also something to do and a beautiful beach not far away. There are a variety of property types available including Gulf Front, Bay Front, Golf Course homes, condos, and townhomes.